Kathy and her brother (known as Tom, Vinh, Tom-Vinh, or Tý) are only 15 months apart in age. They did everything together growing up, including music lessons, rehearsals, performances, volunteering, church, clubs, classes, and more. 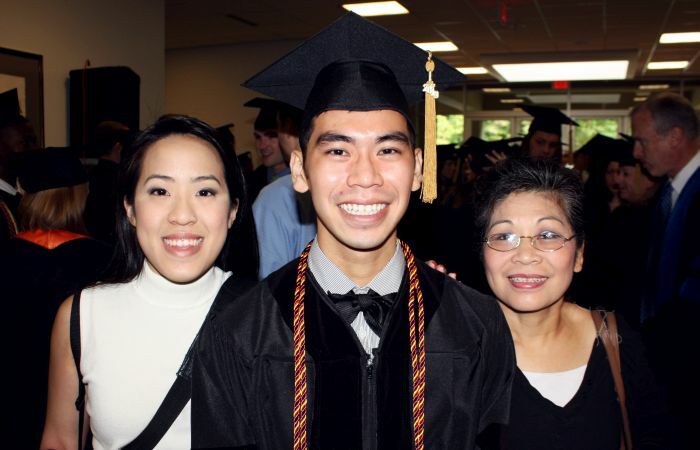 Truly his mother’s son, Tom-Vinh inherited many of the skills and character traits of Kathy and Tom’s mom: intelligence, creativity, resourcefulness, and generosity. We are proud to have a gentleman like Tom-Vinh in the family. Tom-Vinh is a skilled builder. He first picked up these skills in his volunteer work at Habitat for Humanity but, since then, he has developed them on his own time. His carpentry includes but is not limited to game tables, dining tables, beds, wooden boxes, frames, etc. Tom-Vinh is dedicated to community service. We’ve already mentioned his long-time work with Habitat, and he also enjoys picking up deliveries from the Food Bank Distribution Center for the Warner Robins Food Pantry. He’s been involved in these two organizations for over 15 years. Tom-Vinh is a talented musician. Kathy and Tom grew up playing in church orchestras and university ensembles, but Tom’s musical diversity shadows hers! He plays the violin, viola, guitar, ukelele, banjo, and saw. In addition to being musically gifted, he also collects these and other Vietnamese instruments. Tom-Vinh is a master chef. He enjoys experimenting with different cooking techniques and styles. Though any human palate would savor his cooking, April and Bucci benefit too. Don’t worry – everything he makes for them is dog-friendly. Tom-Vinh is an imaginative artist. Tom creates as he feels inspired. He’s made clay sculptures, wood carvings, crafts, woodwork, drawings, and more. His work will be displayed on our website soon! 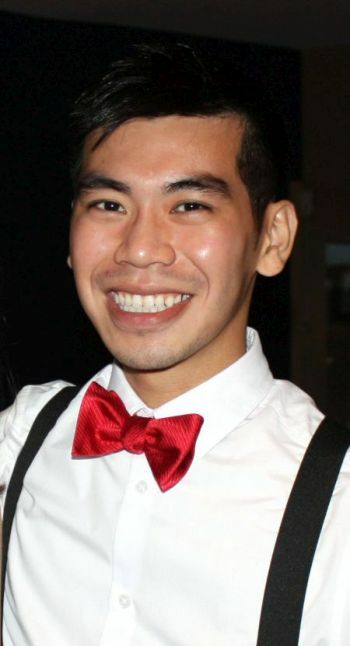 Tom-Vinh studied at Mercer University and graduated from Mercer University School of Pharmacy. He currently works as a pharmacist in central Georgia. Please take a look at the video below in which Habitat for Humanity’s Houston County Chapter interviewed Tom-Vinh about Hue, Kathy, and Tom’s Habitat story. Afterwards, you can click here to read Kathy’s version.